A listener lives in a haunted orphanage which leads to some very strange events, a favorite caller returns and MUCH more strangeness on this week’s Campfire! Enjoy, share & stay spooky! 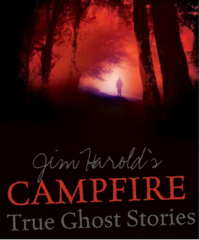 Tune in for some of the creepiest Campfire stories from the last 6 years of the program. Happy Halloween and enjoy! A weird experience causes a life-long fear of dolls, a loved one makes her presence known, strange sightings and a bizarre encounter round out this edition of the Campfire! For Halloween, we share some of our spookiest stories from 2011 so far! Happy Halloween!